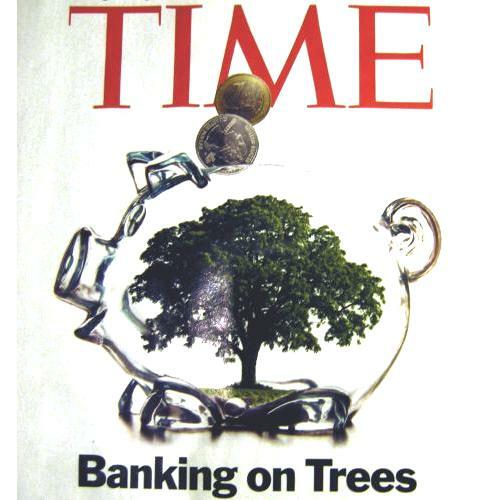 While in the train going to Paris to attend the Green Job forum I read an interesting article on how banking on trees could enable us to fight off climate change and give money to enable developing nations to protect their forests. The United Nations REDD program – Reducing Emissions from Deforestation and Forest Degradation in Developing Countries – may enable us to do just that by financing the protection of existing rainforests. Time Magazine investigated in Indonesia’s Aceh province as the country is the third greenhouse gases emitter behind China and the United States because of its massive deforestation. The good news is that protecting forests “is one of the easiest and cheapest ways to take a big bite out of the apple when it comes to emissions,” says Greenpeace spokesman Daniel Kessler. Ulu Masen will be one of the first forests to be protected under a pioneering U.N. program called REDD — Reducing Emissions from Deforestation and Forest Degradation in Developing Countries — that offers a powerful financial incentive to keep forests intact. Here’s how it works. Preserve Ulu Masen, and over the next 30 years an estimated 100 million tons of carbon are prevented from entering the earth’s atmosphere — the equivalent of 50 million flights from London to Sydney. Those savings can be converted into millions of carbon-offset credits, which are sold to rich countries and companies trying to meet their U.N. emissions-reduction targets. The revenue produced by the sale of credits is then ploughed back into protecting the forest and improving life in communities living along its edge, thereby giving people a reason to leave the trees standing. In other words, forests are better REDD than dead. With schemes now proliferating across Indonesia and the globe, the U.N. estimates that REDD revenues could pump up to $30 billion a year into the developing world, promising much-needed revenue at a time when rich nations still haggle over how much money to give poorer countries to help them adapt to climate change. I wish the UN-REDD iniative as much success the Billion Tree Campaign. This idea enabled to plant no less than seven billion trees in just a few years. Couldn’t we just keep dozens of billion trees over the next century the same way ?